Fall issue reveal and a giveaway! We are very excited to release our brand new Fall issue today! Amazingly this is issue 39! As it's been landing in mailboxes all around the world we could not be more thrilled at all emails, messages and calls from readers letting us know how inspiring they have found this issue to be. Thank you to the SCT team once again for creating a beautiful issue that is full of all the warmth this season has to offer! You can download or view the issue for free on our website any time, or if you like to hold a copy in your hands, you can order a subscription too! Today also marks the release of our brand new Creative Cards Vol. 1 issue! 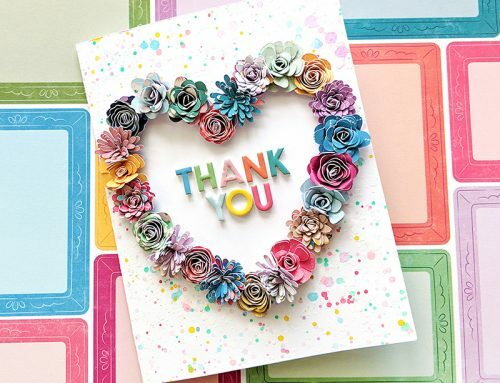 With over 100 cards with instructions, 50 cut files, digital stamps and photo tutorials, you don't want to miss it! And here's a fun fact…these are issues 49 and 50 in the SCT family! Amazing! So let's celebrate because if you've followed us for awhile, you know just how much we like to celebrate! To start, our sweet friends at Elle's Studio would love to offer one lucky SCT reader this beautiful kit! This exclusive kit from Elle's Studio is packed full of 35+ journaling and embellishment tags, and now they are also releasing a mini course to go along with it! This is the perfect tool if you are looking for a creative jumpstart, or a fresh and fun ways to use the kit! 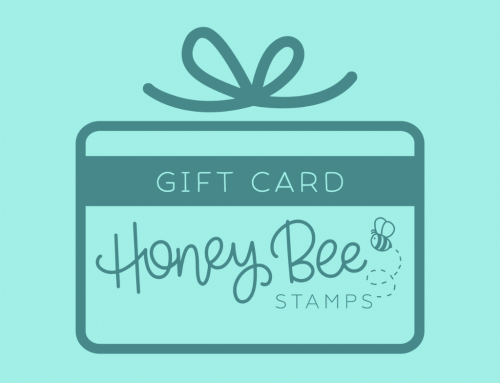 Today's winner will receive the kit, the September Mini Course, and the Adorbs Stamp. And of course we just have to give away a copy of our fall issue and Creative Cards Vol. 1! Be sure to leave a comment below and tell us where you're from. We would love to know where all our readers are coming from and, if you've seen the fall issue, what was your favourite article or artwork! Be sure to leave your comments by next Thursday, September 24, 2015! Good luck! LOVELOVELOVE the pictures!! So funny! I am from a one horse town in Vt called Williamstown! Unfortunately there are not very many crafty peeps living around here so I have to craft alone but I do get lots of things done since I don’t visit while crafting! Can’t wait to get my copy of Creative Cards! I preordered it and am anxiously awaiting it’s arrival! Would love to win the fall issue also!! TFS! Love the photos- have a great weekend! I’m from the San Francisco area. I loved the latest SCT issue. It’s hard to pick a favorite, but I think I most enjoyed seeing the cover/alternate layouts, as well as the multiple products/ multiple designers stories. I love seeing how different people interpret the same photo or supplies. Awesome, thanks for the chance to win! I’m from Ottawa. I’m very the central coast of California. Been too busy for my crafts lately and that’s enough to such the life out of anybody! I need to sit down with a good magazine, glass of fresh squeezed lemonade and rethink this too-busy nonsense! Such a cool giveaway. I’m from Illinois!!! My first subscription order arrived yesterday with the fall issue and Creative Cards! They are both scrumptious! Thank you, Elle’s Studio, for the opportunity! Wow! What a super prize! I am from a small town in Indiana called Laporte. I loved the designers inspirations as always int he fall issue. It is ALWAYS my favorite part of the magazine (along with the rest of it) LOL I would just die to have the card mag. Since I am disabled it is not in my budget but It would be such a blessing! LOVE LOVE to see all the inspiration to come out of it! Thanks for this wonderful chance for all these goodies! I’m in Southern Ontario, I do very little at home unfortunately as there is always other demands on my time at home so I try to attend one local scrapbooking crop a month and attend workshops at a Stampin Up demonstrators home. I love to sit down with your magazine and dream of what I can make with your ideas, techniques and suggestions. i’m in missouri! I don’t get to go to crops but have a great in home studio…. love your magazine and thanks for a chance to win! I’m in Thunder Bay Ontario Canada. It’s crop & create weekend. I just received the Falling Leaves scrapbook kit. Oh my gosh..I have bought many kits on-line before but I must say this was by far the best I have ever received. It was packaged neatly, with lot’s of extras and thoughtfully put together. I was not sure about the back to school theme since both my kids are older…but this kit is really versatile. I LOVE,LOVE,LOVE it. Thank you SCT, I will be back for more! I am in Texas! Looking forward to perusing your newest issue! Burlington Ontario Canada here….just received my fall mag & love love love it! Am dying to win this package. BTW love the classy photos! I’m from Montana. Thanks for the opportunity to win! Can’t wait to check out the fall issue. Cute kit. I’m from southern California. Thanks for the chance! Hi I’m from SASKATCHEWAN. Love your magazines! I’m from Virginia, cute pictures and great props! Thanks for the opportunity to win. Fun pix! I’m in NC. I’m part of a Stampin’ Up club group and we meet monthly but otherwise, it’s just me, myself and I.
Haha! Love the funny pictures! Haven’t seen the magazine yet. Oh my goodness! Those pictures are so fabulous and such a fun way to start the weekend off. Have lots of fun and a great weekend. I’m still waiting for the mailman to show up………………….. so I can dive into my goodies. Great giveaways, too. Hello from Caledon, Ontario! Can’t wait to download the new issue this weekend! I’m from the SW metro area of the twin cities in Minnesota. Fabulous giveaway, love Elle Studio and SCT. I’m from Seabeck, WA. It’s a rural area with a 30 minute drive to get into town. While I would love to live near an area with lots of great LSS’s, I do enjoy the privacy and being inspired by nature out here where we live. I’m from Knoxville Tennessee and just downloaded the magazine so I can pour over it this weekend! Thanks for a chance to win! I’m in Wainwright, Alberta. I haven’t had a look at the new issue, but I’m always excited to get one! I’m close to Niagara Falls, Ontario!! Out in the middle of the woods in Midland, Michigan with the deer, turkeys and squirrels. =) Great pic’s. Just received my copy of Creative Cards today and can’t wait to look at it here in Arlington, TX!! Awesome giveaways!!! I am from Chicago…but…reside in Georgia!! I am from Alliston, ON. I haven’t has a chance to download the magazine yet but was going to do that right now. Hello! I am from Montana and LOVE to craft! I would so love to win this kit! I’m from New Brunswick, Canada. Great giveaway-love the kit! I just got the fall issue in my fall card kit that I received yesterday and I am looking forward to reading it! Hooray for new issues! I’m from Cypress, Texas (just outside of Houston). My favorite section in each issue is always the readers’ gallery – so much eye candy! And this time, the Pet Pages section stole my heart – absolutely adorable! I live in Iowa, and haven’t seen the Fall issue yet. Know it will be great, as always! 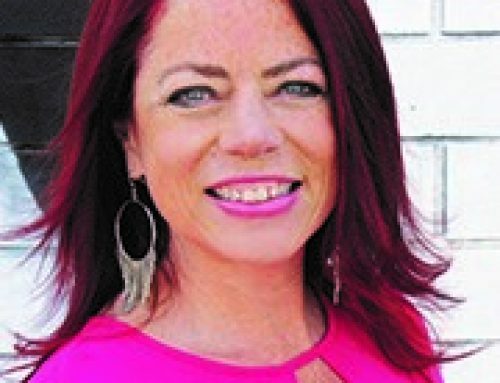 I live in Bucyrus, Ohio, and my favorite article in the new issue is Ali Edward’s Let Go. She is always inspiring to me! I am currently living in Sandy, UT, but have recently moved from Coeur d’Alene, ID. Thanks so much for all the inspiration you provide! I am from Harvey , New Brunswick! Still waiting for my fall issue to arrive, excited to see what’s new! Thanks for the chance to win! Great giveaway once again! I’m from Palmer, Alaska. What funny photos! I am from NE Ohio. Northern California, where the redwoods meet the sea. I’m from Hamilton, Ontario. The prize pack looks great, and so the photo booth pictures! Have fun in Thunder Bay. I’m from Kansas City, MO! Can’t wait to sit down & soak in your beautiful fall issue, thanks for the chance to win!! I’m from Sydney, NSW, Australia. Long way to have a paper copy sent so I enjoy SCT digitally. Would love to be able to hold it in my hands though! Hey y’all from Tennessee…. thanks Elle’s Studio for a fabulous kit! I’m from the Lethbridge area in southern Alberta. I’m in MN. I can’t wait to open up the online issue right now! I am from Roseville, CA. I just browsed through your fall issue and I love all the great examples of scrapbook pages. I can’twait to get my copy in the mail. 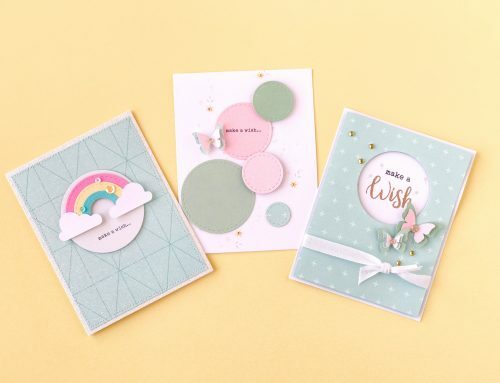 Would love to get a copy of your Creative Cardsand of course the wonderful kit from Elle Studio. I live in CT, Northeastern US. Love the photo prop photo! Congrats on your new Creative Cards No 1 magazine! Thank you for making the magazines that we have all been missing so desperately. You rock! The pictures made my day! Thanks for the kit giveaway! Love those goofy faces! : ) Greetings from S Florida! I’m from Kansas! I love scrapbooking! Great give away! I am from Canby, Oregon and I have a local group of ladies who love to scrapbook and make cards and it has been so special to get to know them and to learn from them. Awesome giveaway. Thanks so much for your generosity! Hi from the North Okanagan area of B.C.! I just subscribed today and can’t wait to get the fall issue in my mailbox! I’ve been reading online but it just isn’t the same. From Sudbury in Northern Ontario. 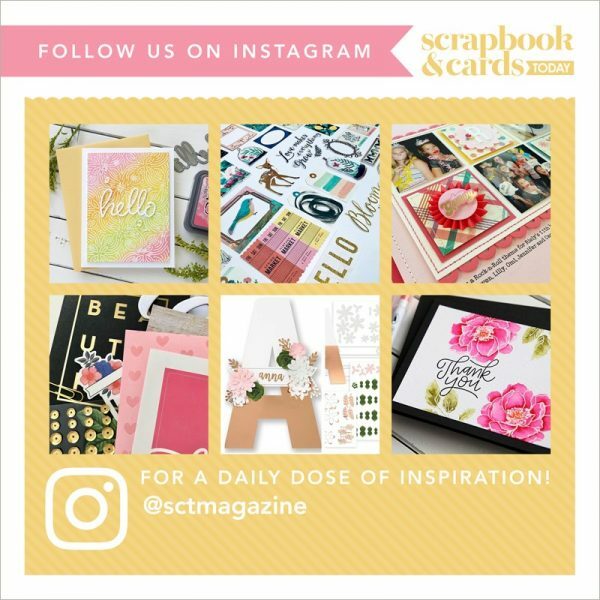 My copy of Scrapbook & Cards arrived in mail today and I”m planning to spend time on Saturday to browse for new ideas and techniques ? How wonderful a mini course and a kit from Elle’s Studio, couldn’t ask for anything better. I’m from New Zealand! I love those photo props! So fun. Thanks for the giveaway. I am from Vienna, Austria (Europe). I love reading your wonderful magazine, although only online as shipping cost are just so high. I would be thrilled to have a real copy in my hands. Thanks for the chance to win. I’m a Michigander living in Japan. You look like you were having a ball. I am from Michigan. Thank you for a chance to win this fantastic give away! I live in Maryland, USA. I am always inspired by your blog and will be interested in the creative card mag. 🙂 Thank you so much for this giveaway. Thanks for sharing. I currently live in South Windsor, Connecticut but I am originally from the southern India. I love all the inspiration I see from magazines. I can hardly wait to dig deeper into the fall issue! I always look forward to the Card Café article in each new issue. I’m from Oakville ON. Each and every issue INSPIRES!!! I’m about 1/2 way through the fall issue and several articles remain fresh in my mind, can’t wait to try string art, different styles of heat embossing, enjoyed my photography refresher and currently pondering how to let go!!! THANK YOU for ALL you share and the chance to win too!!! I’m from Maple Ridge, BC. Love all your issues and I’m enjoying your new kits. I am from NH, would love a chance to win!! I’ve not seen the current edition. I’m a cardmaker so I appreciate articles that I can adapt to my cardmaking. I haven’t read the fall issue yet, but I sure will! I’m from France. I’m from Leduc, Alberta and would love the chance to win this great giveaway! Will be downloading the fall issue and looking for some wonderful inspiration! I’m in Ontario and it’s a rainy day here so I’m hoping to have a chance to look through the new Fall issue. I can’t wait to get my copy of Creative Cards Vol.1. Congratulations SCT on hitting the exciting milestones of 49 and 50 issues published!!! Thanks for always thinking of us and organizing such fabulous giveaways! Wishing everyone at the Crop and Create in Thunder Bay an amazing weekend! I live in Kodiak, Alaska – it’s an island community with no craft stores or crafting groups, so I REALLY look forward to receiving my print issue of the SCT magazine each quarter – hoping it’s in today’s mail! Both giveaways are fantastic – would love to have either one! Thanks for all you do. I’m in very warm So. Florida – just West of Ft Lauderdale. Looking forward to downloading the new issue – looks fabulous! Rockford, MI! Gorgeous cover! Love Elle Studio! THanks for the chance to win! I am from northern California, near San Francisco and have lived in California my whole life! Loving the feel of Fall in the air and looking forward to the autumn holidays. Bryant, Alabama here and this would be a perfect to get me back going scrapbooking again. I’m from the Denver, CO area. I can’t wait to read the fall issue! Hello from Chatham Ontario! I just read through the Fall issue on line and I really enjoyed it. I think I liked the alternative layouts and the page maps the best….especially the page maps with 4×6 photos. Love, love, love your magazine. I received the SCT magazine last night at a pizza crop! It is beautiful! I am from Burford, Ontario! Sooo jealous! Went to crop and create in Saskatoon when used to be there. Loved it! This kit looks amazing! I am from North Bay, Ontario and I get my Scrapbook and Cards Today fmagazine rom my LSS, Scrapbooking @PhotoMetro. I haven’t seen the Fall issue yet but will be picking it up Friday.. Love this magazine! Thanks for this chance to win a great prize. I am a newbie at scrapbooking from Toronto, Canada. Thank your for yoyr magazine…it has been very inspiring! I would so love to get a copy of the Fall issue & Creative Cards–thanks for the chance! I’m in Oregon, USA. 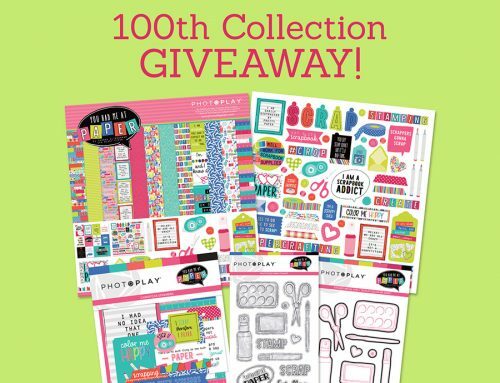 Fabulous giveaway to get started on my college scrapbook. I’m from Indiana. I live in Ottawa and I am SO VERY looking forward to Conrnwall’s Crop and Create. Your magazine is FABULOUS and this new issue is no exception. I tend to read through it slowly so I can savour every moment and so far, the 3T- sketch savy is my favorite. Every magazine is a treasure. You should be so proud of what you and your team have accomplished over all these years. I download new issues, but there is nothing like paper! I’d love to win a copy. Love the silly photos! Thanks for a great giveaway and I’m from Michigan. Fun pics! I can’t wait to read this issue. I’m from Texas. I’m in Mebane, North Carolina and am loving your fun pictures and the chance to win this great kit. Thanks SCT, you are the first blog I check every day! Love the new issue too! What a fabulous giveaway! I’m in Queensland, Australia. I am from STL, MO. I loved the articles from Ali and Cathy. Great layouts in this issue! Thanks for such a great magazine and giveaway! I’m from Brampton..just up the road from you guys! 😀 I just received my Fall C&C Delivered Kit and I’M IN LOVE! You guys do a fabulous job with these kits. I also received the Fall issue and the brand spankin’ new Creative Cards magazine….both which I devoured in one fell swoop!! Oh and did I mention I’ll be seeing you in Cornwall this upcoming weekend!! WOOT! WOOT! Good times ahead. And oh ya, thanks for the beautiful giveaway opportunity! I am from Ft. Myers, Florida love your creative ideas for cards kits and magazine! Oooh nifty prize! I can’t wait to dive into the fall issue! I’m from Pittsburgh, PA. Thanks for the chance to win! Love your magazine and can’t wait to get my Fall issue. I live near Stoney Pointe in Ontario. I’m from Mississauga! I think it’s great that you guys are Canadian! Tracy, CA here… I loved the entire Fall issue, but my favorite part was the Snapshots portion. I can use all the help I can get with my photo taking. Thanks for the change to win from Mississauga Ontario Canada! I’m from Alberta. Loving the kit. Always love SCT! from Calgary, Alberta. Just received the new Creative Cards issue. Gets the creative juices flowing, need to make a bunch of cards! I live in MN. Great magazine. Love the inspiration. I’m from Buffalo, NY! Haven’t seen the magazine get going to read it now! i’m from alberta – I haven’t seen the new fall issue yet, but look forward to it! thanks for the chance to win! I line in Southern Illinois – across the river from St. Louis, MO. It’s a small village of about 4000. Everything is located within a few blocks – the grocery, the library, everything important. Love the cards on the cover of the magazine. What an awesome prize to win. Live in an unincorporated town in WI and do my paper crafting by myself. Wish there were more people around where I live that craft because everyone can share their talents and inspire and challenge me. I would love this kit! I’m from Seattle. Love those little blue hearts! OMGosh ……. those pics are so ‘attractive’ gals!!! You never get stuck for a way to have yet More Fun! Good on ‘Ya!! as the Aussies would say. I’m from right here in Ontario – little ol’ town of Brantford. Thx for the chance to win & the opp to catch a glimpse of y’all setting up in Thunderbay!! ? I’m from Booragoon in Western Australia. Looks like a fun kit to play with. I’d love to win it. I live in Riverside, California where it has been so hot that all I want to do is create and craft. The set looks so useful and the mini course is always something wonderful. We all must keep learning our whole lifetime, even if it is mini bites. Thanks for the contest! Wow what a giveaway ! Thank you for the continual creative inspiration !! Hello from India! Would love to receive Elle’s Studio September 2015 Kit, the September Mini Course, and the Adorbs Stamp. Thank you for the chance to win, great opportunity! Great giveaway! I would love to try the product. I’m from Pleasant View, TN, just outside of Nashville. I like Takes 2 & 3 and Our 3-designer Challenge features of the magazine. Cute pictures. Thanks for a chance to win. Such a great giveaway. Love the idea that it comes with a mini course to get started. I’m a Dutch native living on Crete, Greece. I have just finished downloading the fall issue. Looking forward to learn more tricks about heat embossing. Morin-Heights, Quebec over here!! I adore, adore your magazine! I have yet to purchase a kit, but plan on it in the future.We don’t have an LSS around here–the closest craft is Michael’s, about 1.5 hours away.And unfortunately, it is not always worth the trip there. So I 99% of the time purchase online. Received SCT this week and haven’t had a chance to read the article yet. So looking forward to it. Just said to a girlfriend, I need a jump start for scrapping and this would be the perfect way. So many scrapbook stores have closed in our area it’s hard to get motivated. Thanks for the opportunity to win! Awesome magazine and very funny pictures. I am from Guthrie, Oklahoma. I haven’t had a chance to see the fall issue yet. I think I need to go preview it now. I always get some inspriation from the magazine. AMAZING!! Did Crop and Create Markham last year and MY EYES WERE OPENED!!! So many talented people working on gorgeous stuff! The creativity in that room was of the charts!!!! A Favourite article or artwork??? Don’t think that I could even come close to choosing! Such fun, energetic and creative ladies!! Great pics too! Loving the fall SCT release and enjoying scraplifiting some of the layouts, thank you for all you do!! Elle’s studio giveaway looks like a fabulous kit to keep the creative juices flowing! I am in Thunder Bay. Thank you for the generous opportunity. Luv to read the mag from cover to cover and I get so many awesome ideas. THANKS for the help! I’m from Millbank, a hamlet in ONTARIO< CANADA! I am from metro Detroit and I have not yet seen the fall issue – which is why I hope to win the free issue, not to mention all of those beautiful goodies from Elle’s Studio!! Looks like a lovely kit! I am from Barrie. I am from Pennsylvania. This is awesome. Can’t wait to get my hands on the magazine. Love the photos. WOW! What a super prize! Thanks for the opportunity to win this amazing kit! I’m from White Lake, Michigan. Love the pictures. Central Texas here. I loved all of the ideas and just the sheer joy of a magazine of people that get me! I’m from Toronto Canada and would love to win the kit ‘on offer’. I’ve been a subscriber since almost the beginning and love opening my mailbox to find a delivery from Scrapbook and Cards Today – it makes my day!!! Hi there’, I am from Winnipeg Manitoba Canada. Awesome giveaway, thanks so much. Those pictures are hilarious. Love the kit and still read the magazine, just on line to reduce paper and stash at home. Live in Whitehorse Yukon. Awesome prize thanks for the opportunity to win it.I am from Salem Oregon. I lived Ali’s article on letting it go.I’m always a fan of her articles. Dayton Ohio, which is too far from Canada in this case! 🙂 We have a lss shop in Beavercreek that has classes and crops called The Paper Cottage. I am from central Massachusetts. I love the inspirations of SCT and find that now our local brick and mortar stores are dwindling in number, online classes and kits fill a void. What a great kit! I’ from Greensboro, NC, midway between the mountains and the beach. What fun photos! Vancouver, BC is where I call home. I’m from a southwest suburb of Chicago. I look forward to getting my issue of SCT. I love to look through the magazine, it renews my inspiration and gets my creativity going. Wow! What a fantastic Kit! Would love to win. Thanks! I am from winnipeg. Love your magazine. Thanks for the chance too win such a wonderful kit. I’m from Thunder Bay, Ontario and wishing I could attend Crop & Create T. Bay. I’m looking forward to seeing the fall issue and Creative Cards Vol 1. I could really use some inspiration for card making. I plan on making cards on World cardmaking Day. I am from beautiful British Columbia and would love to work with and take the mini course from Elle Studio. It looks wonderful. So many great scrapbooking bit and bobs from Elle’s Studio I would love to try!!! Our weather in Pennsylvania has been AMAZING! I haven’t scrapped in months. This kit is the jumpstart I need. Plan on reading the magazine this weekend:) Happy Fall!!! Thanks for a chance to win! I live in sunny Florida. After seeing how much work you put into Crop & Create weekends, You all deserve every minute of fun you can find the time to take. Looking forward to seeing you all in Cornwall this weekend. Beautiful Kit! I am new to this and would love to learn and do so much from this kit. I am in Central Florida, Davenport. I love your magazine!! It is amazing!! Looks like some fun packed in this Elle’s Studio kit. Thanks for a chance to win. I live in Marion, Iowa. I am in Tallahassee, FL. The Elle’s Studio Kit looks like some fun to create with! LOVE this FALL new issue! I am from Indonesia now live in Ohio with my family. Thank you so much! Aloha, living on the Big Island, Hawaii, in a rural area. Love it. Lots of good stuff in the mag. Always like photo tips, love the 3 designers with 6 products, and can’t seem to get enough of the minis! Hi, I’m from UK. Love anything to do with stamping, especially to do with nature. I’m from Northwest AR, home of the University of Arkansas. Thanks for the chance to win this fun giveaway! Thank you Elle’s Studio! Happy scrapping!! It looks like set-up day is serious fun as well as serious work. Hope you have a great event. I am from Barrie. Looks like a great giveaway! I’m from Indiana, and I want to thank you for the many different chances to win things! Great giveaway. I’m from New Orleans. Come down and visit us. I am from Ohio!! Love the giveaway!! Thank you for the chance to win!! Borger, Texas, a small town in the Texas Panhandle. One hour NE of “Amarillo by Morning” where our biggest claim to fame is giant tumbleweeds. Y’all always have the best giveaways! I’m from Jordan Station, Ontario. You ladies are a HOOT! Can’t wait til I get to spend time with the team again! We need to take some photos this time! Great giveaway! Yay! I picked up the new CreativeCards in Cornwall (At Crop and Create – where Catherine has the BEST make and take ever) and am enjoying it during stolen moments. I turn faithfully to the quarterly magazine for inspiration. You guys rock.